The International Thermoelectric Society (ITS) has announced the recipients of the 2016 Graduate Student Awards. Sage Bauers, a doctoral student in the David Johnson lab, was one three students selected for the award. The Graduate Student Awards are supported by ITS. Recipients are nominated by their adivsors and must be Ph.D. graduate students, holding a Master Degree or its equivalent, that are actively engaged in theoretical, experimental, synthesis or device research in the field of thermoelectrics. 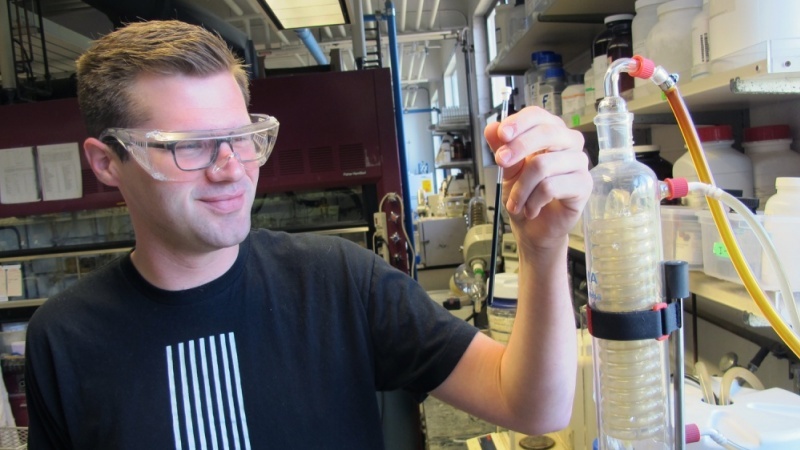 UO Chemistry and Biochemistry doctoral student Gabe Rudebusch has built a stable carbon-based molecule that offers properties that have been sought by scientists for a century, and has potential applications for devices such as transistors and solar cells. 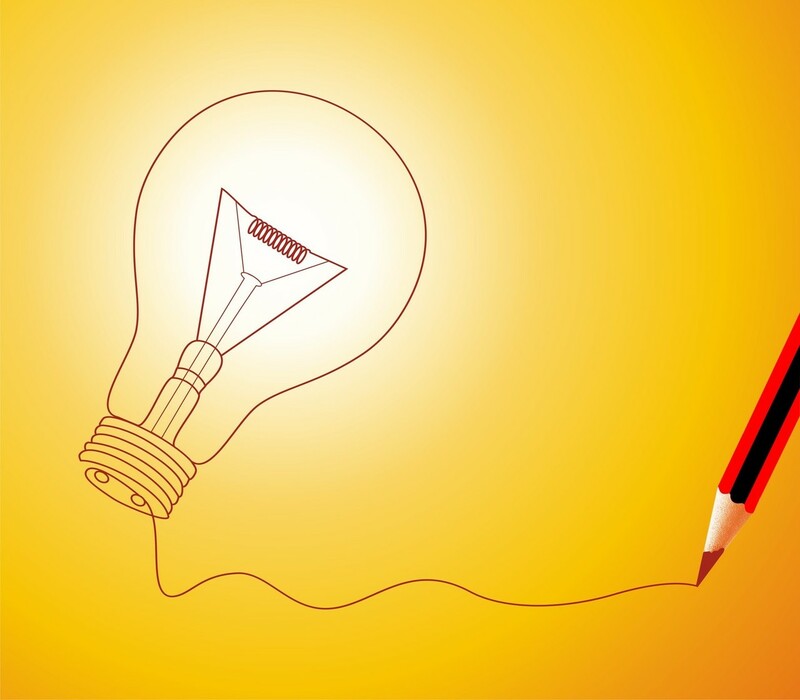 The award is designed to support doctoral students who are interested in pursuing innovative experiences that will prepare them for careers outside of academia in areas including but not limited to industry, business, and the non-profit and government sectors. 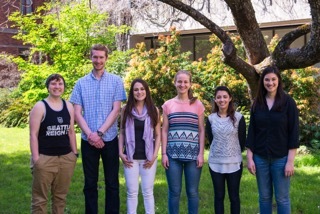 The Register Guard chats with UO Chemistry and Biochemistry’s Susan Cooper, Adam Jansons and Brandon Crockett about innovation, entrepreneurship and their University Innovation Fellowships with the National Science Foundation-funded Epicenter organization. 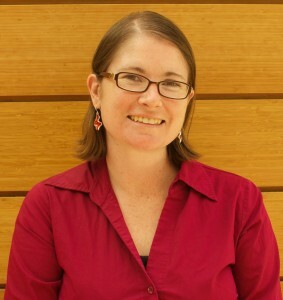 UO Chemistry and Biochemistry graduate student Susan Cooper has been selected to receive the 2016 ARCS Foundation Josselyn Family Scholar Award. 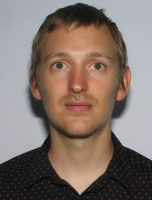 A paper authored by UO Chemistry and Biochemistry grad student Matthew Bailey and faculty Kenneth Prehoda was published in the October issue of Developmental Cell. 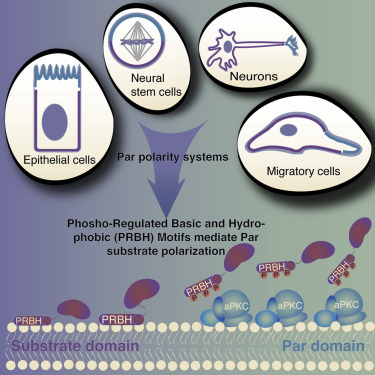 Titled “Establishment of Par-Polarized Cortical Domains via Phosphoregulated Membrane Motifs,” the paper highlights how an enzyme that is mutated in many human cancers functions to organize molecules in healthy tissues. Matthew is the 2015 recipient of the Peter Von Hippel Graduate Scholar Award. The award seeks to recognize a senior PhD graduate student both for their outstanding performance in thesis research, and for their concern for fellow students and colleagues during their time at the University of Oregon. Professor Prehoda is a biochemist and the current director of the Institute of Molecular Biology. An article in Sunday’s Register Guard newspaper showcased local STEM education efforts, including a video with some familiar faces. Look for Kory Plakos from the DeRose Lab and Jeremy Copperman from the Guenza Lab doing hands-on science with students at the Arts and Technology Academy (ATA) Middle School in Eugene School District 4j. A Great Week of Chemistry for UO SAIL Participants! Campers work on their battery design. For the second summer in a row, UO Chemistry hosted a hands-on chem lab experience for local high school students participating in the university’s Summer Academy to Inspire Learning (SAIL) program. The UO SAIL Chemistry Camp, organized by chemistry grad students Kara Nell and Blake Tresca, ran from July 27th-31st. The campers, all soon-to-be high school freshman, put on their goggles and analyzed water samples, created filters, tested the pH of of common household chemicals, and designed batteries using metal sulfate solutions. Be sure to check out our photos! The Summer Academy to Inspire Learning (SAIL) is a University of Oregon program led by volunteer faculty and aimed at increasing students’ enrollment and success in college. SAIL invites eligible 8th through 12th grade students to attend free, annual academic summer camps until they graduate from high school. 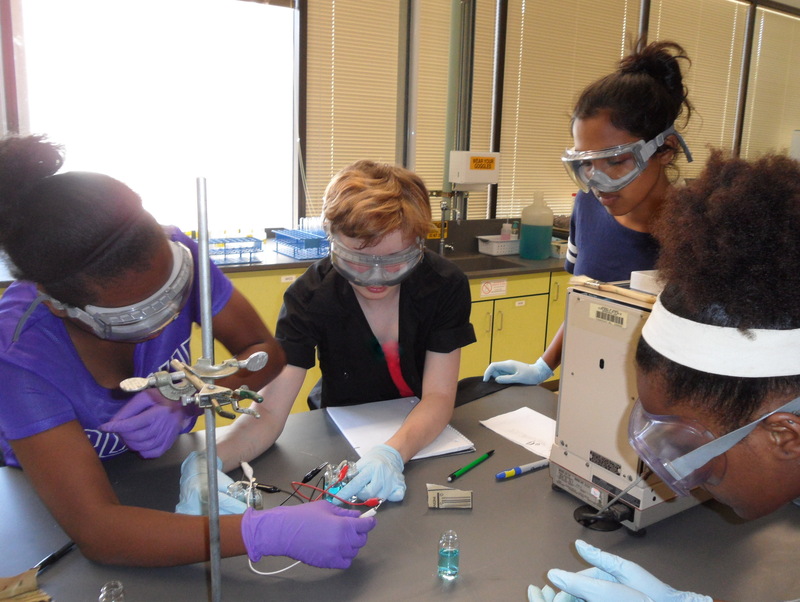 SAIL Chemistry camp is sponsored by the Department of Chemistry and Biochemistry and UO Women in Graduate Sciences. Thanks to all the additional volunteers who helped make this years SAIL Chemistry camp a huge success: grad students Loni Kringle, Kimberly Jones, Kate Karfilis, Fern Bosada, Laura McWilliams, Aurora Ginzberg, Erik Hadland, Sarah Casper, Lisa Enman, Lisa Eytel, Anne Emig, and Nina Vincent.